Get your foreclosed home cleaned out in no time. 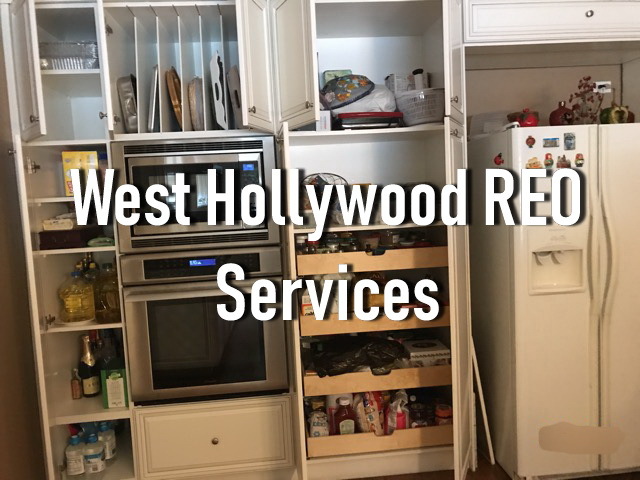 West Hollywood REO Services consist of cleaning, repairing, and securing the entire property. Board up and fence up the entire place through our team of securing experts. We have the right tools and material to secure your entire property. Our team is able to simply go into the property and take the right measurements and window sizes to cover them up. We can rekey and board up all of the doors and windows in your home if needed. We understand how squatters work, and in a beautiful area of West Hollywood can surely attract trespassers in beautiful empty homes. We don’t want to see your foreclosed property encounter any more damage, therefore, our team is here to help. Allow our team to repair and restore the home back into its normal shape. Our team is very knowledgeable when it comes to general repairs. If your previous tenants left your house damaged our team can help. There are far too many damages left at times for one person to fix. For example, if previous tenants left the pool to rot. I mean green water, not been cleaned for months, and the piping is backed up, our team can help. We have fixed so many pools that needed to get fixed since it had already become a hazard to the neighbors. The last thing you want is encountering any city fines or liability that will degrade the value of the home. For more information on getting your house cleaned out from any junk, repaired from any damage, or secured for any trespassers please click on the following link.